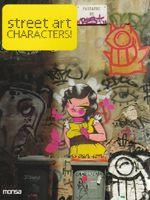 255 Pages, Illustrated, 7 x 9"
Street art is any art done on a public space and the term includes traditional graffiti, stencils, sticker art, video projection and street installations. 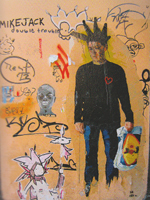 Characters are fundamental in the contemporary street art world and we can find all sorts of caricatures made of spray, charcoal, acrylic, markers and also in posters and stickers. 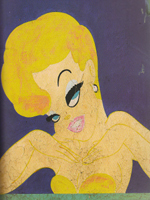 This book shows the villains and the heroes drawn on the walls of cities such as New York, London and Barcelona.